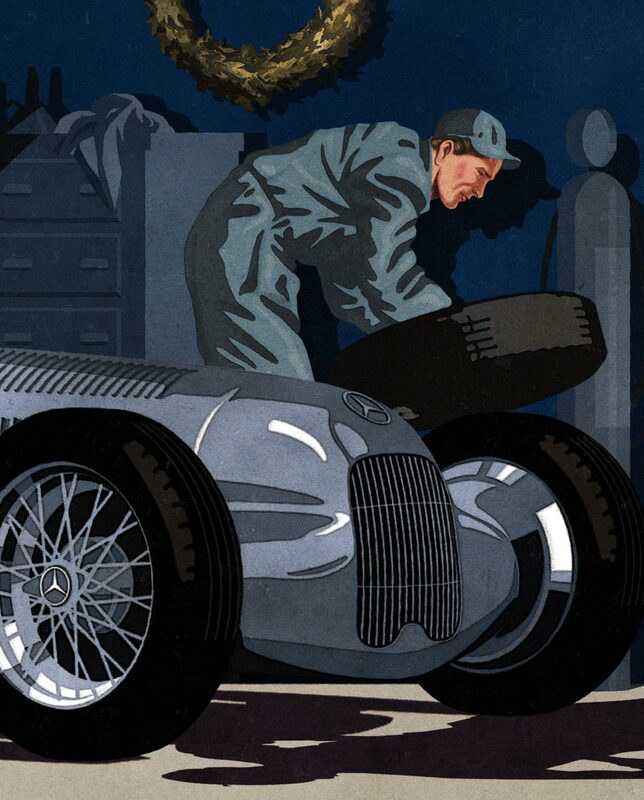 The idea for this ad: a new picture was to be developed from a 1920s Mercedes billboard by adding new illustrated parts to the existing illustration. 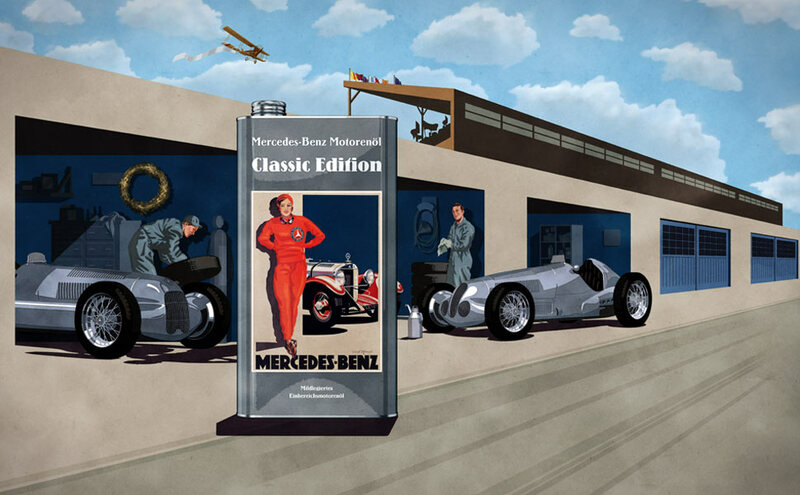 The original picture, showing a young motorcyclist next to her Mercedes sports car, was to be continued in style, perspective and setting. 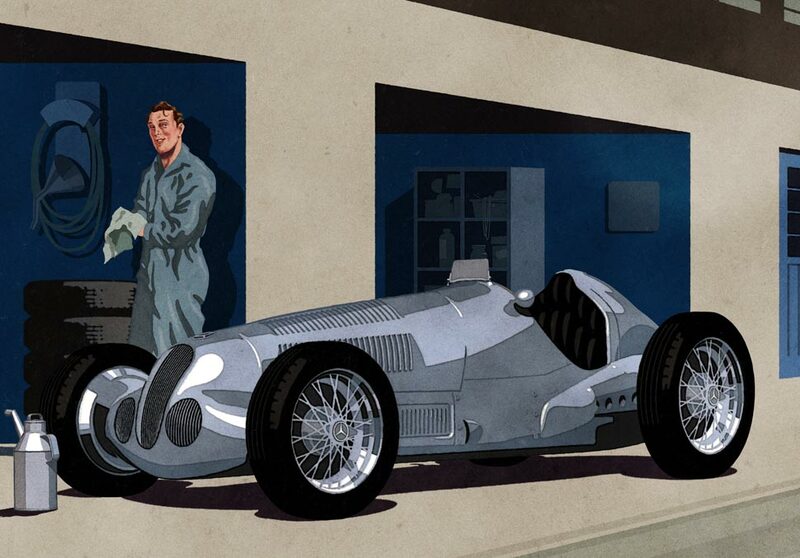 What was to be shown, was a pit stop scene at the side of the racing track: two mechanics working on two Silver Arrows. 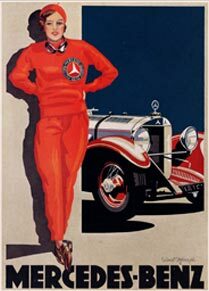 Additional old Mercedes billboards and other brands’ advertising imagery were helpful in developing a feeling for the style's features: the poses, the facial expressions, the light, the degree of detail, the structure of the color litography and the paper. Old photos of garage situations served as a source of information for clothing and equipment. Magazine illustrations from the ’20s provided guidance on the mechanics’ facial anatomy and hairstyles. The painterly execution of the men's faces was, however, done less sketchily than the woman's face in the original billboard.